If anyone has been particularly hurt by GST, the differently-abled are facing a double blow. With 5% GST being imposed on disability equipment, the message sent out is not one of inclusion. To impose GST on wheelchairs and Braille paper is literally taxing the disabled person for trying to overcome his or her disability , in this case, the inability to walk and read. This is not justifiable and nullifies all the provisions, rules and guidelines envisioned within the RPWD Act 2016 that was cleared by the government in December 2016. 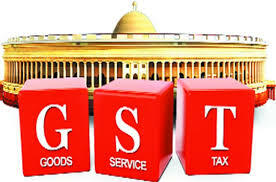 We have optional goods like bindi, kumkum, bangles, sindoor, etc, exempted from GST, and polished diamonds and gold taxed at just 3%. The GST burden on the disabled makes no logical sense. The fact that disability and poverty form a vicious circle, and that any increase in price in disability instruments would make life harder for the differently abled population, is simply ignored. This either reflects the regressive attitude of the government or its obsession for political `optics’.